Do you experience pain or stiffness in your neck, upper back, or shoulders? There are many potential causes of this type of discomfort. One of these causes is a cervical disc herniation. A herniated disc in Miami occurs when the center of a disc pushes outward, putting the disc into an improper position and placing pressure on the surrounding nerves. Herniated discs are typically more common as you get older, though other factors such as weight, smoking, and repetitive stress can also affect the development of herniated discs. A herniated disc in the cervical spine can cause pain and stiffness in the neck, as well as shooting pain, tingling, or weakness in one of your arms. Headaches are also a common sign of a cervical disc herniation, and they may feel as though they are based in the back of the head. If you are experiencing any of these symptoms, you don’t have to live with this discomfort. 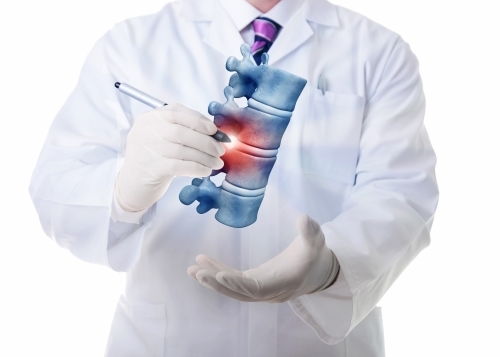 Seek treatment at a spine center to help reduce your pain so that you can get back to your normal life.